Car Championship race car. Racing Car for the Road - Civic Type R Concept . 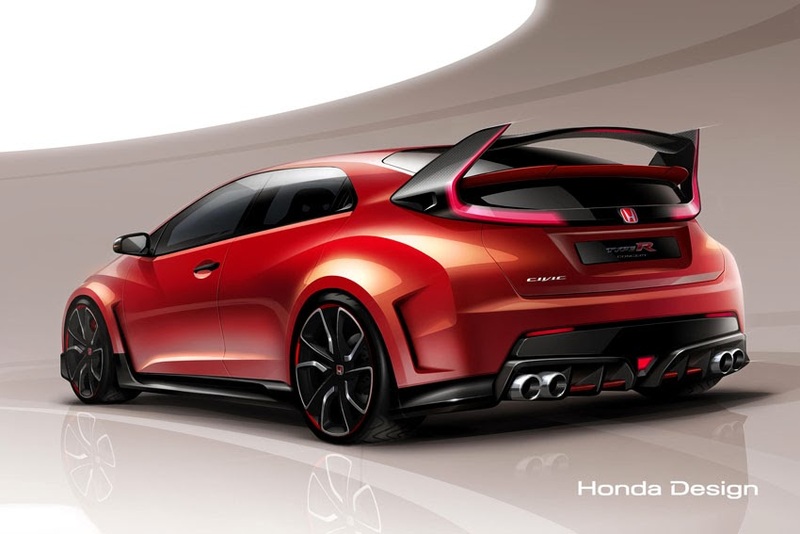 Honda's appearance at the 2014 Geneva Motor Show will lead with the worldwide reveal of the Civic Type R Concept model, providing the styling direction for the exterior design of the highly-anticipated production version that debuts in 2015. Dubbed by the design team as a 'racing car for the road', its bold and expressive styling reflects the strong performance characteristics for which Type R is renowned. Further underlining Honda's leadership in the development of advanced technology, the FCEV Concept makes its first European appearance. Sleek and aerodynamic, the Concept points to the potential styling direction of Honda's next-generation fuel cell electric vehicle which launches in the US and Japan in 2015, followed by Europe. In another Motor Show debut, Honda will highlight the powertrain layout of the new NSX supercar. The model showcases the longitudinal, V6 direct injection engine with twin turbo alongside Honda's innovative 3 motor Sport Hybrid SH-AWD (Super Handling All-Wheel Drive) hybrid system.